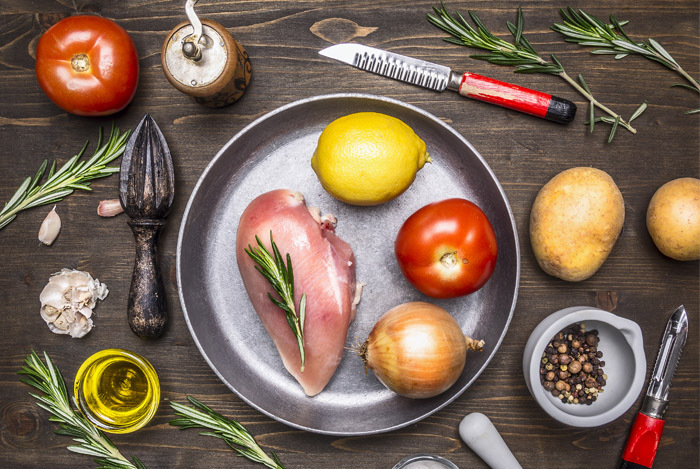 If you’re looking to lose weight, you may be wondering what you should eat, how much, and what types of foods you should pair together that both taste delicious and help you lose weight at the same time. This can be a confusing dilemma for sure, because there is a large amount of information available about weight loss today and almost all of it is different from one another! 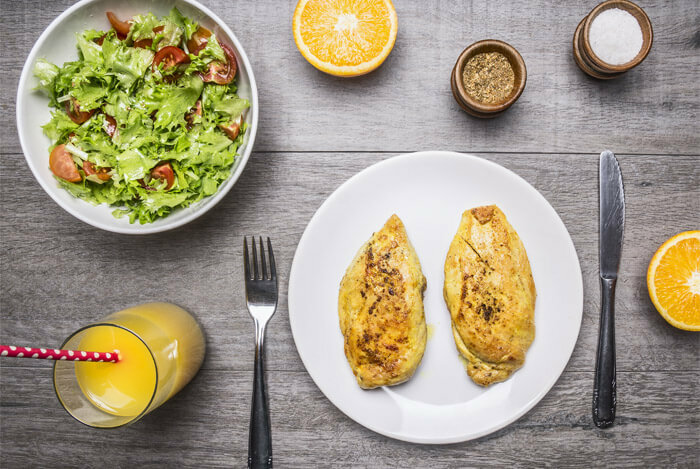 Luckily, even though there is a vast number of ways you can approach weight loss, one thing you can always count on is that eating balanced meals, which help you hit your calorie and macronutrient targets, will help. It’s even better that most of these food pairings also taste delicious too! Pairing protein and vegetables with one another is helpful because the fiber and amino acids help you stay full. Vegetables also fuel the growth of good bacteria in the digestive tract to help you lose weight more easily. For some ideas of how to pair protein and vegetables together, why not try these 5 unique food pairings that taste delicious and help you lose weight at the same time. Mahi mahi is a type of white fish which is a protein powerhouse, and it’s a fantastic source of omega-3 fatty acids despite being low in fat per serving. It’s also a great source of selenium, a key mineral. Mahi mahi has a mild flavor so it’s easy to season however you want, and it’s rich in B vitamins that keep your brain healthy and energy levels up. Asparagus is a delicious vegetable that’s low in carbs, high in fiber, fat-free, and contains some protein too. Asparagus has 4 grams of protein per ½ cup chopped asparagus, and it’s also helpful for reducing bloating since it’s rich in potassium making it a natural diuretic food. 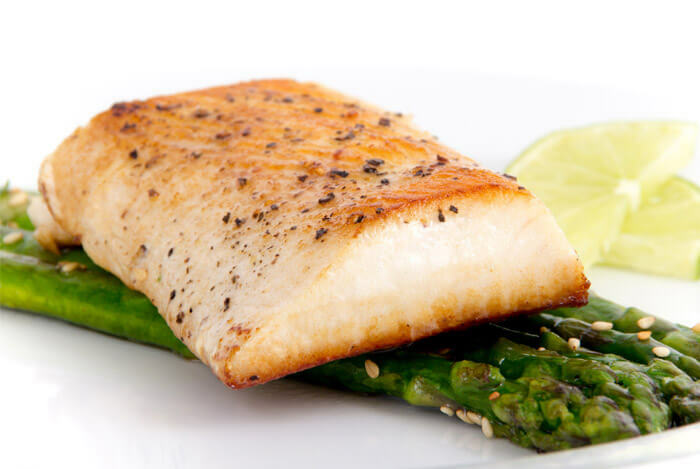 Mahi mahi pairs perfectly with asparagus because the two can be added to salads, or you can bake mahi mahi in the oven with lemon, pepper, and onion to season it, and then pair it with asparagus for a light and healthy lunch or dinner. When you prepare white fish, it’s best to oven-bake it for around 8-9 minutes. It is a flaky, delicate fish that may fall apart when grilling. Season this delicious food pairing with some black pepper, lemon, and whatever herbs and spices you enjoy. Consider this one of the most healthy, lean, and filling options you can eat that will also help you lose weight without going hungry! You may not think oats are a unique food—or even a protein-rich food— but when it comes to weight loss, their benefits should never be overlooked. Oats are one of the best foods you can eat to help you lose weight without going hungry, feeling deprived of carbs, or starving yourself. They are also lower in carbs than all other types of grains, contain 7-8 grams of protein per 1/2 cup, and they are richer in nutrients than other grains overall, including quinoa, per serving. Oats are also one of the only food consistently linked to lowering weight, improving heart health, and reducing high cholesterol. They are loaded with B vitamins, amino acids, minerals such as magnesium and iron, and they’re even a good source of healthy fats though relatively low in fat per serving. Blueberries are well-known for their health benefits, but let’s be honest, we’ve all had our share of blueberries. 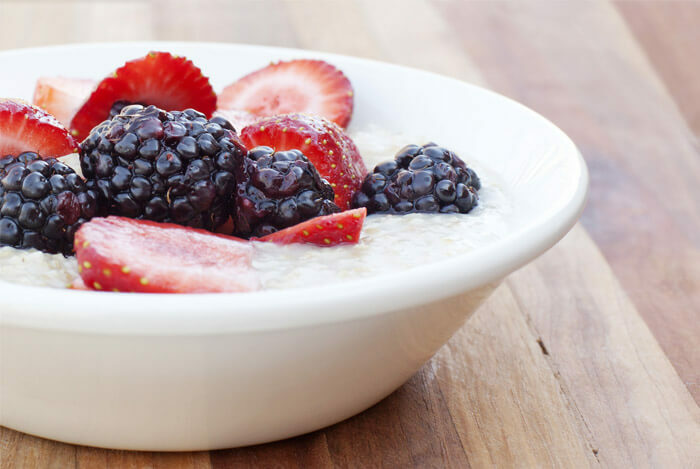 Mix frozen blackberries into freshly prepared oatmeal and enjoy the natural juices that release from the berries which will naturally sweeten your oats without you needing to add any sugar. If you need to add more sweetness, consider adding some pure stevia. Greek yogurt is a powerhouse of protein, probiotics, calcium, magnesium, Vitamin B12 and Vitamin D3. It’s also one of the best sources of meat-free protein you can eat. Raspberries are a great source of Vitamin C, are low in sugar, and high in fiber. Top a container of non-fat, plain Greek yogurt with frozen or fresh raspberries and enjoy with some chia, flax, or just by itself. 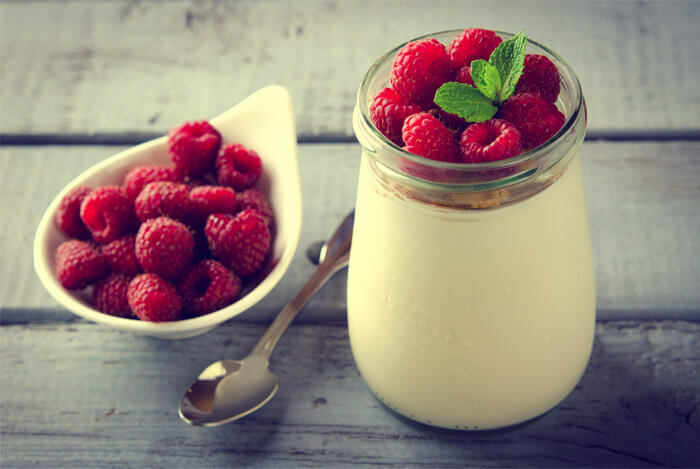 You’ll stay full for hours and likely notice an improvement in your digestion due to the probiotics in yogurt and fiber in raspberries. 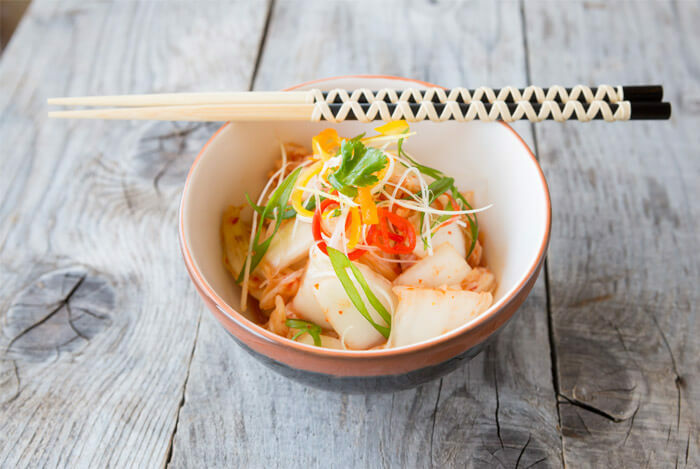 You may not have ever had kimchi, but here’s why you need it: kimchi is a type of cultured vegetable and it is a powerhouse of probiotics. Kimchi has no sugar, has more probiotics than yogurt, and is comparable to sauerkraut in taste although it’s a little spicier. Kimchi, (also known as spicy, Asian/Korean sauerkraut), usually contains cabbage, scallions, garlic, onion, and some varieties contain extra veggies like carrots and celery. It has no dairy and most versions are vegan meaning no sources of animal products were used in the fermentation process. Why not try kimchi with eggs which are a rich in choline, Vitamin D, Vitamin B12, and many varieties also contain omega-3 fatty acids which can help improve brain health and satiety when eating. Eggs taste great with kimchi because the two create a nice, savory dish that can be enjoyed for breakfast, lunch, or dinner. Look for kimchi options without added sugars and those that say raw and non-GMO. Kimchi can be found in the refrigerated section in the produce aisle wherever ethnic foods and sauerkraut is found. 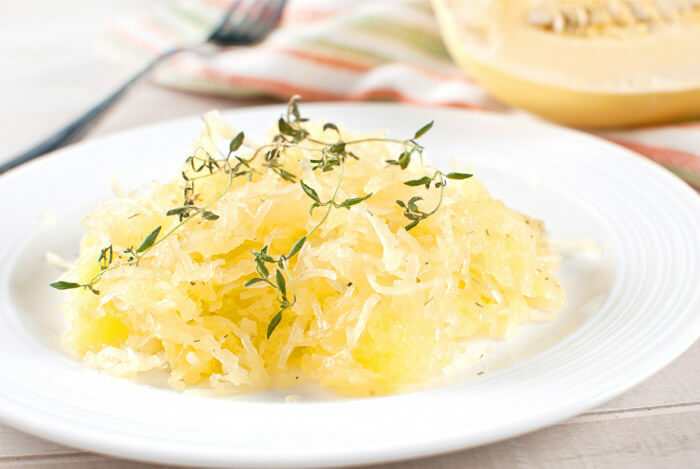 Spaghetti squash is a wonderful source of beta-carotene, an antioxidant that converts to Vitamin A in the body. Vitamin A improves skin health and also fights free radicals that can lead to a tired and sluggish immune system ruining your energy levels and daily caloric expenditure. Spaghetti squash is also high in fiber and water, but it’s low in overall carbohydrates. Halibut is a type of white fish that’s low in fat but has a nice, buttery texture. It’s also great if you enjoy thicker cuts of seafood but are trying to watch your waistline and cholesterol levels. It contains around 24-26 grams of protein per 5-6 ounce filet. Like other types of white fish, you should bake halibut in the oven so it doesn’t fall apart. It’s easy enough to do in a glass baking dish, or you can wrap it in foil to preserve the moisture found naturally in fish. Spaghetti squash can be cooked whole in the microwave or the oven. Just poke a few holes in the top and sides with a fork, then roast it in the oven at 350 degrees for 45 minutes, or bake it in the microwave on maximum heat for at least 10 minutes. Once it’s done, it will be slightly golden brown on top and soft to the touch. Let it cool, then slice it in half, pull out the seeds, and pull out the spaghetti-like threads. Use this in place of pasta, or top your salads and other dishes with it. Spaghetti squash has a nice, slightly sweet flavor that goes great with halibut, chicken, and other types of lean poultry too. Many types of food pairings that contain protein and vegetables can help you lose weight more easily, but if you’re looking to keep things excited, always try out new options. Never be afraid to try a new type of healthy dish. What’s your take on these healthy food pairings? Have anything else you’d like to share? Let me know in the comments below!